The Toyota FT-86 may not be the vehicle to save Toyota from itself, as sources report the vehicle will be branded in the U.S. as the Scion FR-S, cost $25,000, and get a boring redesign. But wait, it's worse! Since the FT-86 was first revealed we've heard nothing but conflicting bad news about the RWD, affordable sports car product Toyota's been promising. The latest bad news comes from sources close to Toyobaru, who are saying the car's being sold in the U.S. as a Scion to prop-up the struggling brand. Ive been sitting on this information in disbelief, however we have other confirmations in hand now. 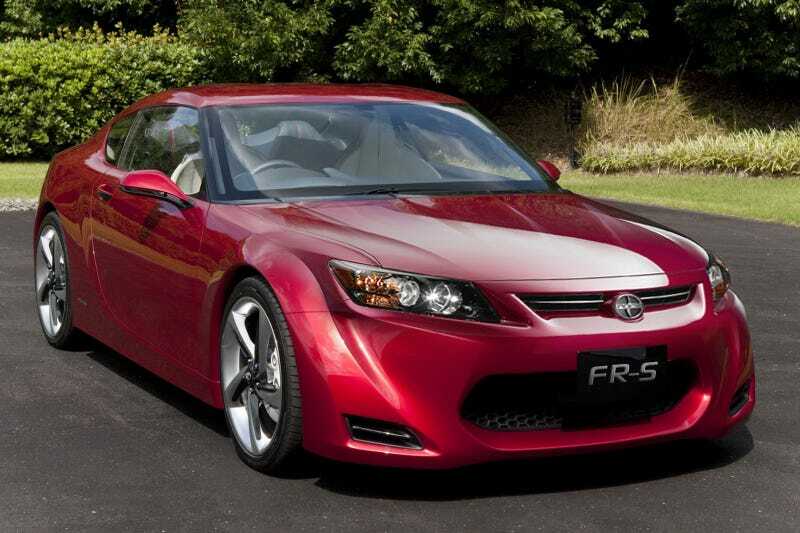 According to our inside source at Toyota the FT-86 is going to be released as a Scion in the USA. Toyota and Scion Marketing and Management adjourned across the US this past Tuesday to receive the news. Their reasons behind using Scion is reported as Marketability and pricing structure, Scions as you might know share a fixed pricing structure at all dealerships. If released as a Toyota the FT86 could be suspect to price hikes. In the end it sounded like Subaru and Toyota thought that Scion was the best choice for the FT-86, I strongly disagree. The report also included that of a 2.5l Engine would make it to production. The current engine "marketed" with the Toyota FT-86 is only a 2.0 liter. The choice of the 2.5l is a good one. However they are also increasing the original entry level price range around $25,000 US. Further, they add the vehicle's Subaru variant may end up Europe only and, the design of the vehicle we love, will be transformed into a more boring Scion-esque look.